Richmond Park Rouleurs is a friendly road cycling club catering for all levels of ability. 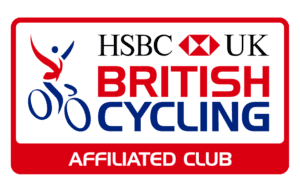 We are a non-profit organisation and an affiliated club with British Cycling. We are ran totally by volunteers. 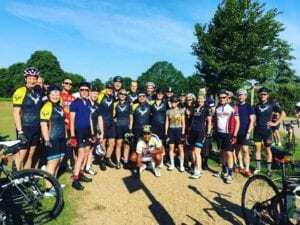 So whether you are looking to improve your group riding skills, get fit, train for a big event, or just looking to meet fellow minded people, then the Rouleurs could be the club for you! We formed in November 2014 and our membership has been growing steadily since. We schedule regular group rides, social events and holidays for our members. Our main ethos is to ride as a group, we stop for punctures, and leave nobody behind. If you are concerned about keeping up with the group then talk to one of our experienced members. We also have a strong social element so a bit for everyone. We schedule laps around Richmond Park on the 1st and 3rd Saturdays of every month to encourage new members along. Ideally this would be your first ride so that you can get a feel for the club, and to meet some of the regulars on a nice leisurely ride. Our main club rides are on a Sunday which we visit the likes of Surrey, Windsor and Kent. All our events are run through our Meetup site which you have to join up to RSVP. So feel free to check out some of our great events coming up and will hopefully see you soon! Our club has a set of rules known as the Club Constitution. These are used to help govern the club in a fair and equal way for all our members. I'm Matt. I am currently the founder and Chairman of the club. The club was started in early 2015 with the goal of creating an inclusive cycling club where everyone is welcome to ride. 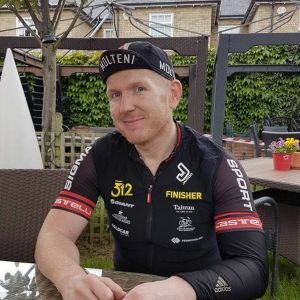 I moved to Londo n from Bristol and had been part of a few other cycle clubs until I decided to start my own. I like my big epic rides abroad as much as my social jaunts down to the cafe for cake, and even sometimes a beer after the ride. The club seems to reflect that philosophy, which is good for me! I enjoy running the club obviously. I get to do my bit for British Cycling as well with the Rouleurs, trying to encourage as many people as we can to get out and ride. Over the last year we have managed to get on some fantastic rides to destinations including Lands End(pic), The Cotswolds, Brighton, Mallorca, Paris and Calpe. And personally have managed to get some endurance rides in on LEOG and London Edinburgh London this year. So more of the same hopefully in the future. This combined with the members being a fantastic bunch of people make for a real family club, long may it continue! Please take some time to meet some of the club volunteers on the Rouleurs committee.